I haven't been able to find any articles or forums on this unfortunately. Currently, our organization schedules events into an event calendar, which prompts a workflow. 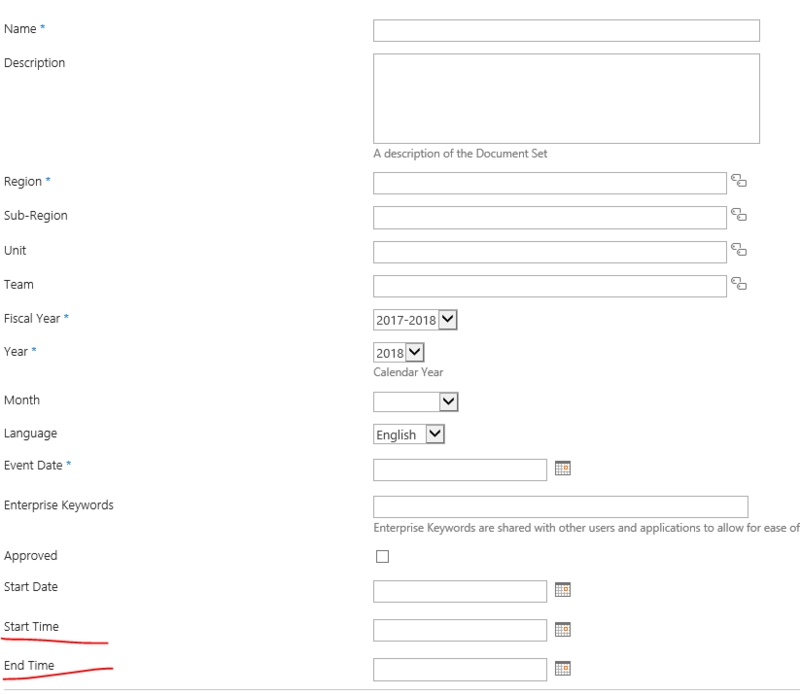 The user is asked to input the event date and time using the OOB Start Time and End Time metadata fields. Simple enough. We are trying to recreate this calendar and workflow, but as a document library with a calendar view. 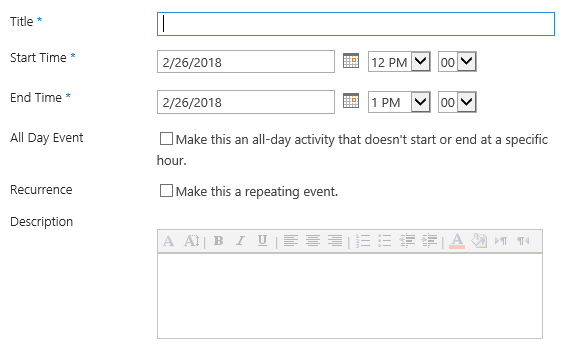 Creating a new doc set prompts a workflow that will then add the event to the calendar. 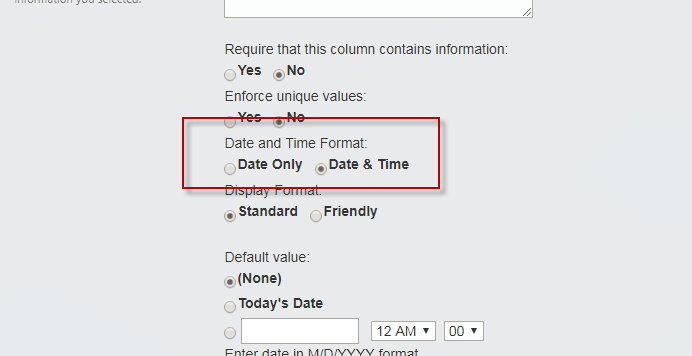 However, the Start Time and End Time fields now only give the option to input a date, but not a time. The metadata options for creating an event in the current calendar. Is there a reason for this? Does the time portion of the metadata field not work on document libraries as it does in a standard calendar? I would appreciate any insight or thoughts on this. Thanks! Not the answer you're looking for? Browse other questions tagged document-library calendar date-time metadata or ask your own question.